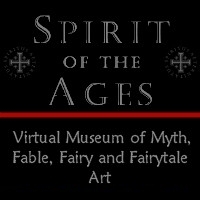 Welcome to the online presence for the Spirit of the Ages Collection - our Virtual Museum of Myth, Fable, Fairy and Fairy Tale Art - and congratulations on bringing these enduring images and stories into your life. We have created an online presence for the Spirit of the Ages Collection so that you will have the opportunity to connect with masterful illustrations prepared to accompany enduring stories from mythology, fairy tales and the classics by some of the great artists associated with the Medieval and Renaissance periods, the 19th Century Pre-Raphaelite school, in addition to the Golden Age of Illustration, the 'fin de siècle' and Art Nouveau, Art Deco, Gothic Revival and Jugendstil movements. In addition to showing these inspiring artworks, we also present information to place the illustrations in context such as, details of the tales being interpreted, artist biographies and contemporary reviews. Throughout the Virtual Museum, we also provide opportunities to purchase Fine Art Posters and Greeting Cards, with all our reproduction images produced with archival quality processes to ensure many years of enjoyment. Our Medieval and Renaissance Collection presents a visually and historically significant collection of Medieval and Renaissance art, including a monumental depiction of the Emperor Maximilian in Triumph surrounded by the Fates (Dürer's "Great Triumphal Chariot of Maximilian I'') shown in the Albrecht Dürer Collection, pages from ''Liber Chronicarum'' ("The Nuremberg Chronicle") showing the creation of the World and cartographic work by Münster (''Cosmographia'') and Ruscelli (''Geographia''). Illustrations for ''Moriae Encomium'' (''The Praise of Folly'') and	''Der Todten-Tantz'' (''The Dance of Death'') are shown in the Hans Holbein Collection and Georg Scharffenberg's images for ''Der Todten-Tantz'' (''The Dance of Death'') are also on display. Similarly, we are able to show a complete set of the illustrations from the famous 1775 Kurzböck printing of ''Der Weiß Kunig''. Images are also shown from works commissioned by Emperor Maximilian, including ''Theuerdank'' and ''Seel unnd heiligen Buch Kaiser Maximilians Altfordern''. 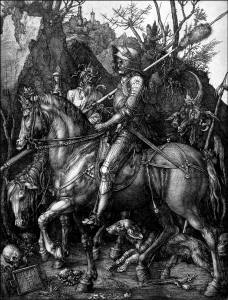 To the left, we show ''Knight, Death and the Devil'' by Albrecht Dürer. Poe's ''The Bells and Other Poems'' and Goethe's ''Faust'' (with versions by Willy Pogány and Harry Clarke). 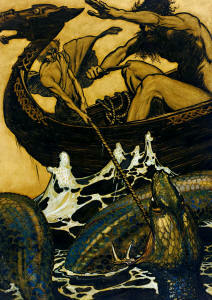 To the right, we show ''The Sea Battle'' by Arthur Rackham. Ivan Bilibin, Newell Convers Wyeth, Jean de Bosschère, Carl Otto Czeschka, Richard Doyle and Gustave Moreau. Our 'Petit' Collection also highlights lovely images from artists with more minor representations within the Collection. 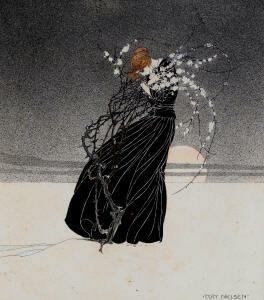 To the left, we show ''The Story of a Mother'' by Kay Nielsen. Warwick Goble, Reginald and Horace Knowles, Daphne Allen, Florence Anderson and Dorothy Lathrop. Orientalists and romantics will find captivating work in suites from Edmund Dulac and René Bull. Dugald Walker, Willy Pogány, Harry Clarke, Sidney H Sime and Vernon Hill. Similarly, for those with a penchant for the Hero's tale, inspiring work may be found in suites prepared by Frank C Papé. This list goes on, of course – and we are sure you will enjoy every moment of considering the art held within the Collection. 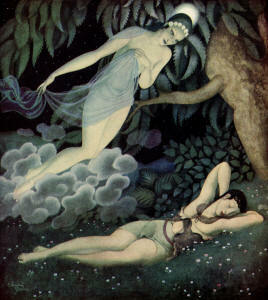 To the right, we show an illustration from ''Gods and Mortals in Love'' by Edmund Dulac. 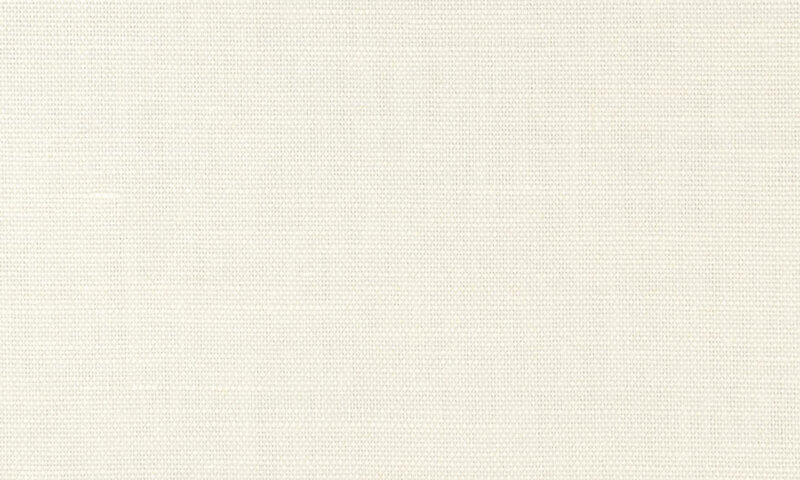 Our Reproduction Prints, in particular, provide a somewhat unique opportunity to embrace the enduring artistic legacy of the Masters. obstetricians, anthropologists and other lovers of this wonderful artwork. 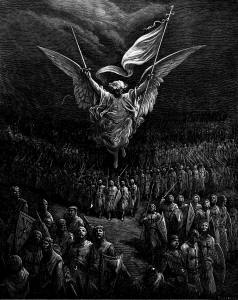 Michaud's "History of the Crusades".